Đerisilo is moving to Romania! June 24, 2016	Comments Off on Đerisilo is moving to Romania! Another turnaround – Serbia beat Russia in five sets! June 24, 2016	Comments Off on Another turnaround – Serbia beat Russia in five sets! Serbia came from two sets down to upset Brazil in Macau! June 18, 2016	Comments Off on Serbia came from two sets down to upset Brazil in Macau! June 12, 2016	Comments Off on Suzana stays in Romania! June 12, 2016	Comments Off on Jelena joined Stefana! Ivana Ostojic goes to Santorini! June 10, 2016	Comments Off on Ivana Ostojic goes to Santorini! Potsdam signed Marta and Ljubica! June 9, 2016	Comments Off on Potsdam signed Marta and Ljubica! Stefana stays in Chemik Police! June 7, 2016	Comments Off on Stefana stays in Chemik Police! June 7, 2016	Comments Off on Jovana signed for Piacenza! 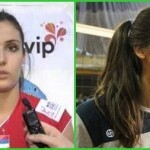 Maja Ognjenovic sign for Eczacibasi! May 6, 2016	Comments Off on Maja Ognjenovic sign for Eczacibasi!